This tongue-in-cheek work wanted to shift perspectives from the assumption that cities are void of nature, paying attention to the species which successfully call a city home. Indeed, an urban environment is one of the most diverse environments, allowing for a surprising density and variety of non-human species. The City Wilderness Trail was a distributed art project which took visitors on a self-guided journey through the ‘wild heart’ of Sydney. It consisted of a series of signs located in the laneways and garden spaces along George Street. 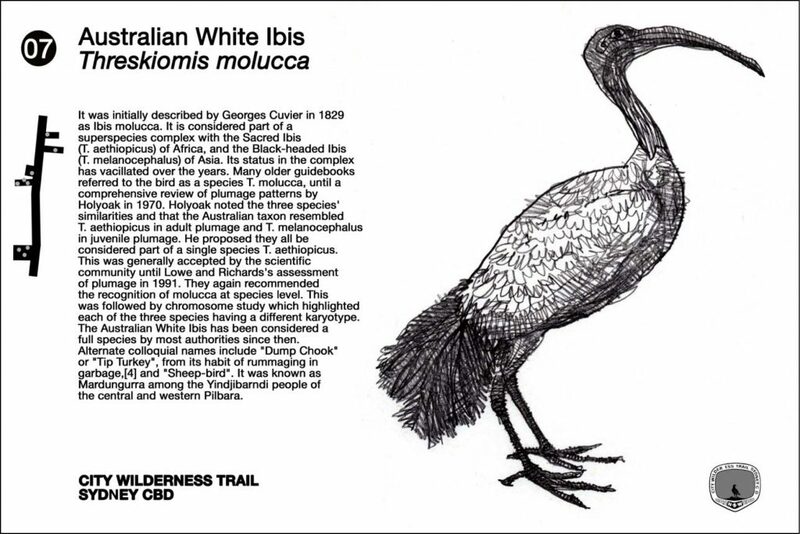 The signs, mounted on walls or low poles, were modelled on the style of those found in Australia’s National Parks and Reserves. 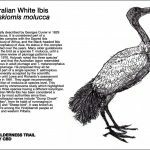 Each consisted of a hand-drawn black and white illustration with humorous, anecdotal and informative text about the species that make their home in, under or above our city’s streets. The texts, which were sourced from a number of local animal experts, focused on “debunking misconceptions associated with urban animals”. 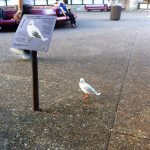 Their purpose was to acknowledge Sydney’s role as host to incredibly diverse non-human populations, including birds, insects and mammals – some highly visible, others unseen by most visitors. 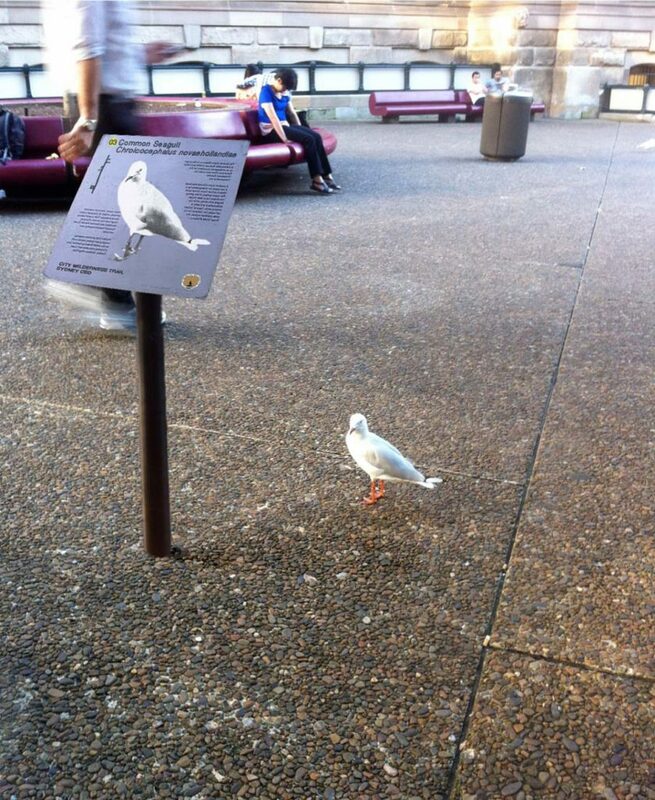 The signs covered 15 species: American cockroach, common garden skink, sulphur-crested cockatoo, feral pigeon, rainbow lorikeet, silver gull, Indian mynah, black rat, grey-headed flying fox, common brushtail possum, long finned eel, peregrine falcon, Australian white ibis, European red fox, – and human. 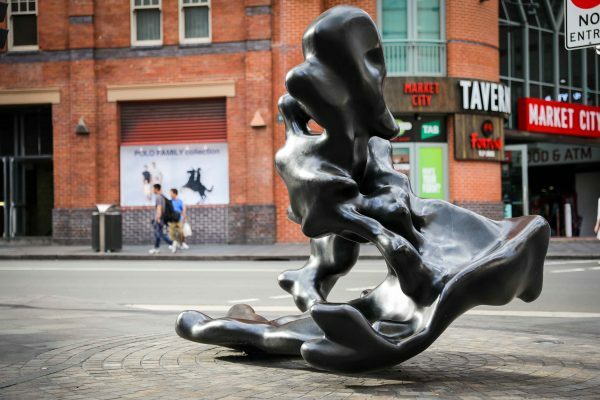 As part of the temporary artwork, the artists also organised a series of tours, where guides dressed as park rangers led visitors on fun, informative walks through the laneways. Our urban environments are more than just human worlds, yet we often approach our urban cohabitants with disgust. This project celebrates urban biodiversity as something of value, to be welcomed and designed for. Instead of approaching nature as something that is ‘out there’, the City Wilderness Trail presents the natural world as a dynamic, evolving and complex system of which our cities and societies are an important part. Mark Gerada is an Australian artist, architect, illustrator and teacher with a background in ceramics and design. He has taught in architecture, illustration and visual communications at the University of Technology, Sydney. Diego Bonetto is an Italian artist, speaker, naturalist and award-winning cultural worker based in Sydney. He works as a multimedia artist and cultural engagement practitioner and is member of a several artists’ collectives. 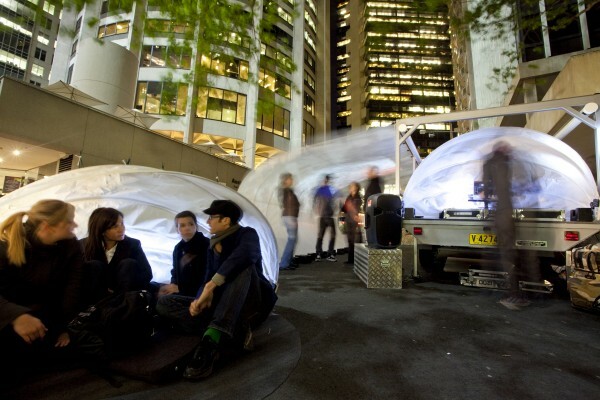 Tega Brain is an Australian-born artist and environmental engineer who lives in New York and Sydney. Her eccentric work intersects art, ecology & engineering. She is an Assistant Professor of Digital Media, New York University. 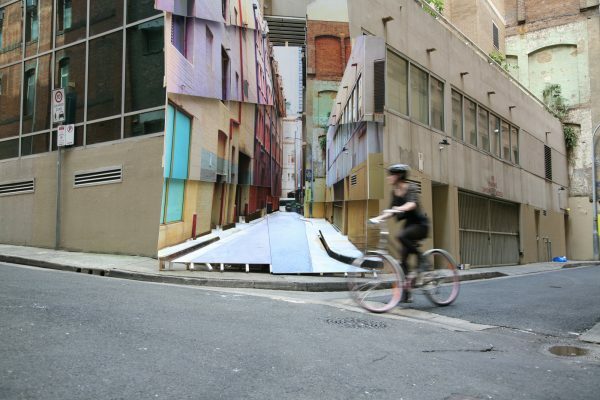 The Laneways Temporary Art Program ran from 2008 to 2013. It aimed to activate the laneways, inject new energy into the urban life and stimulate creativity and innovation in the city. 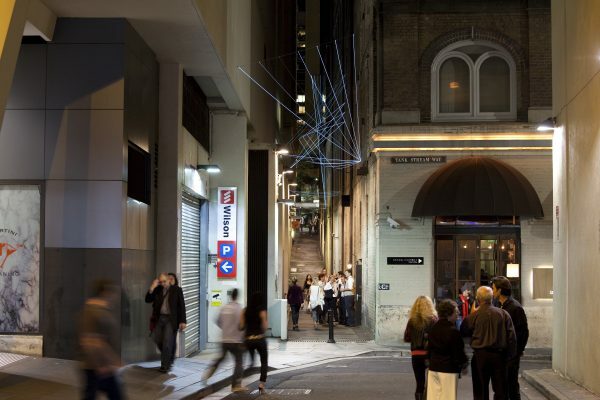 The fifth Laneways program was titled City Spaces. 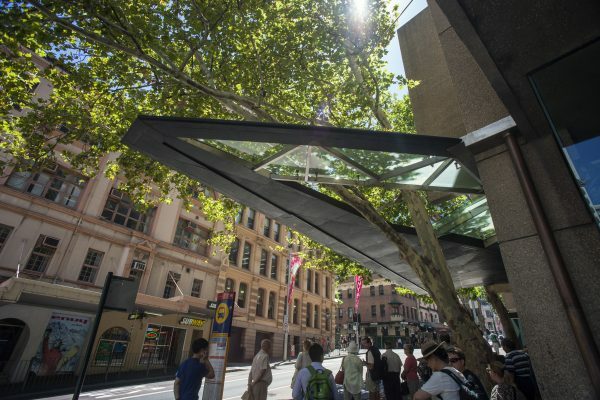 Artists, architects and curators were invited to test their ideas for the lanes and spaces directly adjacent to George Street, in anticipation of its pedestrianisation and the light rail project. It consisted of four artworks. Two of the projects, Youngsters and City Wilderness Trail, were curated by Vi Girgis and Adam Porter.